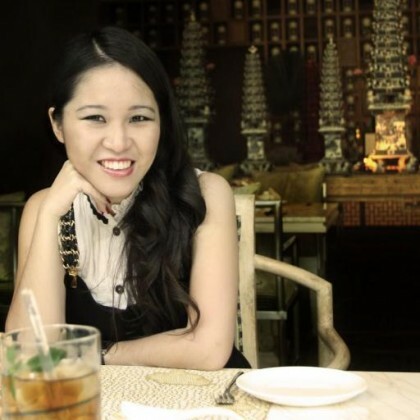 The art was originated back to the 6th century AD from China, that emphasizes its delicacy in shape. It is commonly used for architectural decoration to be placed in walls, doors and windows. Over the years, it has developed into a form of decorative arts which worth a fortune due to its uniqueness and difficulties in the making process. By the 12nd-13th century and onward, paper cutting had become an integral part of all Chinese people’s daily lives and by the 14th century the art had spread to the Middle East and Europe. Over the millenia, a simple traditional art craft like paper cutting in particular, had evolved into one of a kind art forms embraced by respected artists and collectors around the world. Every paper cutting art has its own characteristic due to its distinctive message in its various unique patterns and level of difficulties in the making process. Papercut designs can be very complicated or very simple as the artist’s desires. Cutteristic main product is creating face sketch paper cutting made from photos. 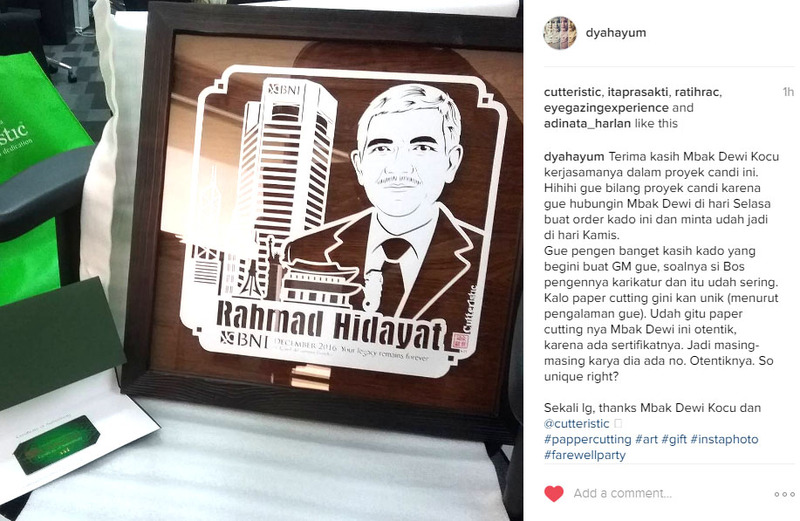 As The First Paper Cutter Artist in Indonesia, I love to combining years of efforts and passions of the Chinese heritage technique with Indonesia rich culture. I proudly create my own unique line of custom paper cutting service to provide one of a kind decorative art which is unique to each costumer based on their needs and requests. Our mission is to bring back the old traditional heritage of paper cutting from China which is starting to fade in this modern era. Your favourite pictures or patterns in paper cutting form are the perfect gifts for anyone in any occasion such as seasonal greetings, birthday, anniversary, wedding, and any special occasions. With more than 4 years of experience, Cutteristic has created over 2700 pieces of artworks (birthday, wedding, anniversary, corporate and farewell gifts) and has been trusted by more than 60 well known companies and government institutional to create gifts. Cutteristic also share this particular skill to hundreds of students in other cities in Indonesia through workshop and online tutorial. saya sudah pernah mencoba download free pattern yg kak dewi share, salah satunya yg “Make Something from Nothing”. tapi kenapa ya font nya jadi berbeda dengan contoh jadi yg ada di website?